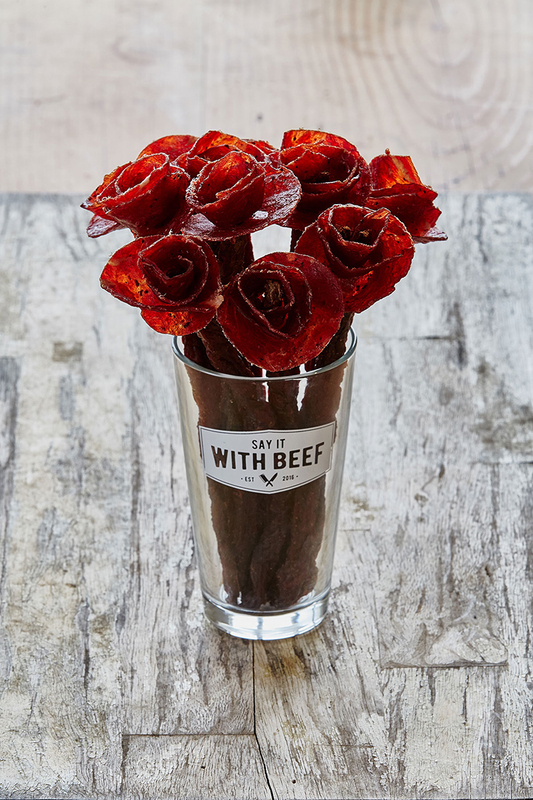 Say It With Beef is a tasty online service that makes bouquets (broquets) of scrumptious beef jerky flowers and sends them out to that special someone, who may be hungry, to receive as a romantic and unique gift. Dozens of delicious Roses and Daisies are available to prepare and ship out in awesome pint glasses from their website. A poet once said, “We taste the fragrance of the rose.” We’ll do you one better – you can smell and taste these roses! No gift is more classic than a dozen roses, but instead of sending flowers that wilt and die, why not send a Broquet? Handcrafted and made from over 1/2 lb. 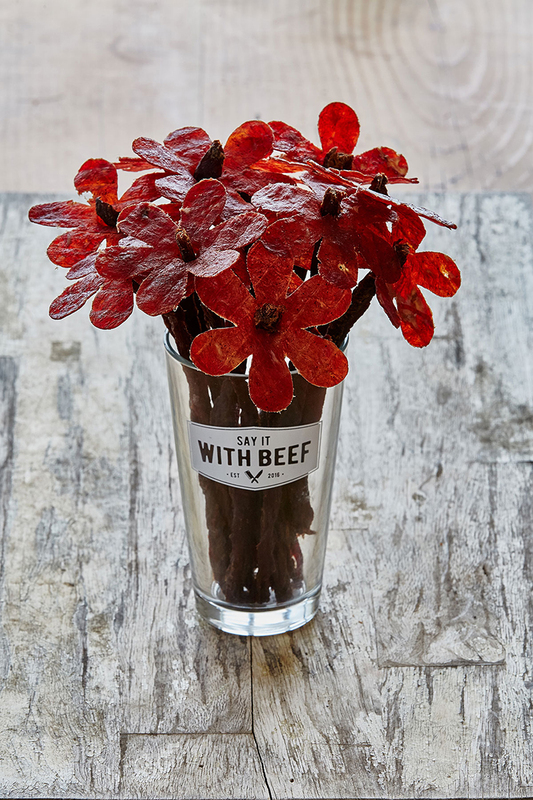 of 100% high-quality beef jerky, this bold bunch of flowers is guaranteed to please your nose and taste buds. It doesn’t take long for a bouquet of ordinary daisies to turn brown and be pushing up daisies of their own. Lamesauce! If you’re looking for a gift that is fresher than fresh, you should Say It With Beef and send a Broquet of daisies, instead! Each dozen of these delicious flowers are handcrafted and made from over 1/2 lb. 100% quality beef jerky that will absolutely brighten anyone’s day. via Archie McPhee’s Endless Geyser of AWESOME!